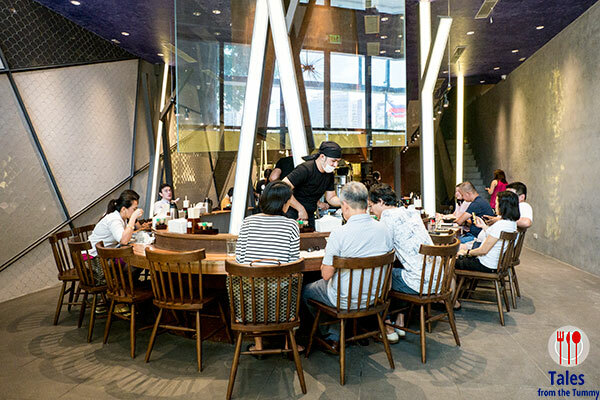 Mendokoro Ramenba opened their 2nd branch recently at the G/F of Icon Plaza in BGC (26th Street side). 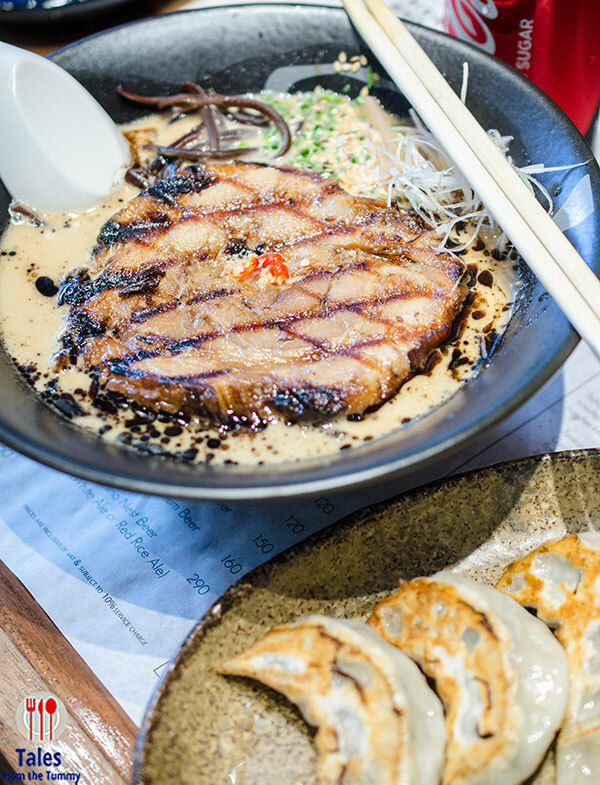 Their first branch in the back streets of Salcedo Village is a runaway success, commanding lines of as long as 3 hours to slurp a bowl of ramen. Their 2nd branch boasts double the number of seats and is overall more spacious but still keeps the open kitchen in the center. Hopefully more seats leads to a shorter waiting time at the BGC branch compared to Makati. I’ve eaten a number of times at the Salcedo branch as well as their sister store, Ramen Yushoken in Alabang, and have waited as long as 1.5 hrs in line. I’ve tried 3 different bowls, shoyu, tantanmen and tsukumen but I have heard of their off menu stuff but never tried because I don’t want to be disappointed after the long wait. I recently got a chance to try out the BGC branch before they opened to the public and here are the bowls I got to try including 2 off menu items exclusive to the BGC branch only. Curry Tsukumen. I love Japanese curry so when we my mouth watered and stomach rumbled when I heard about this exclusive ramen bowl. 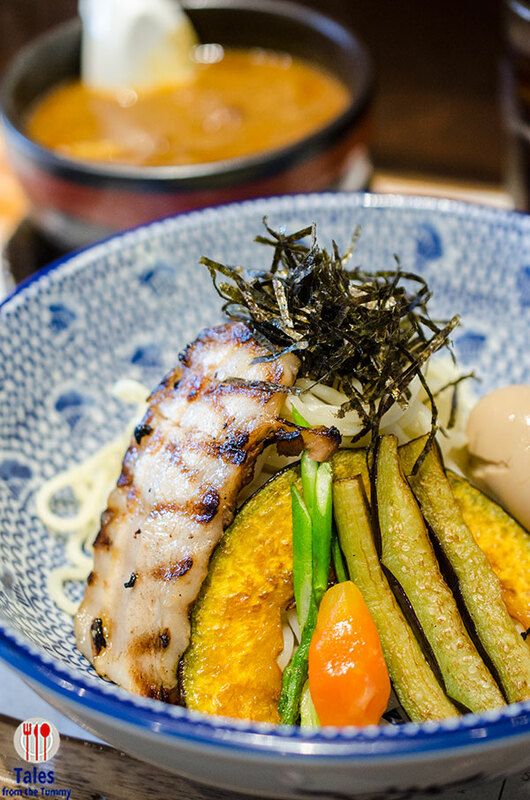 Tsukumen is a ramen where the broth is separate from the ramen noodles and toppings. The noodles used in tsukumen are thicker and weigh 70 grams more than their other ramen bowls so you’ll be quite full. The curry broth has both vegetable and meat chunks so that adds even more filling stuff aside from the chasyu, tamago and roasted vegetables. The curry was thick and hearty with a appetizing sweet and spicy balance. 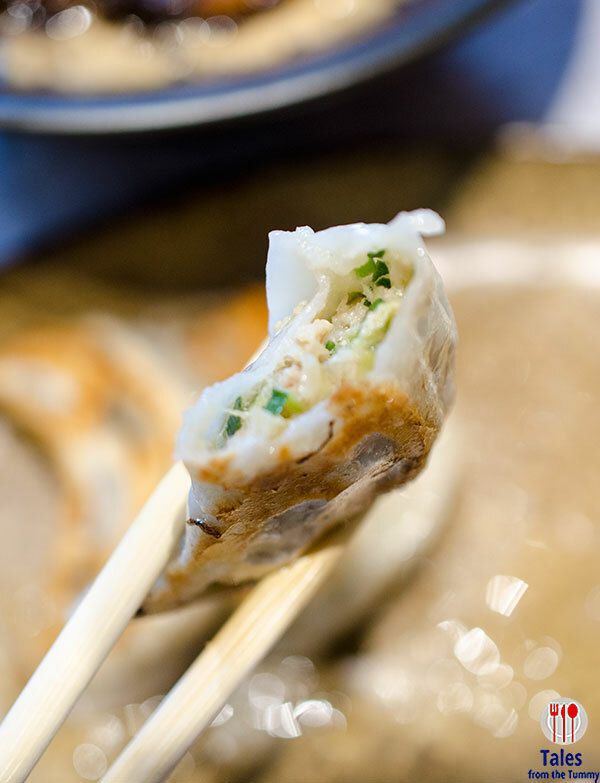 This just shot up to my ramen order rotation. Tantan Mazesoba. 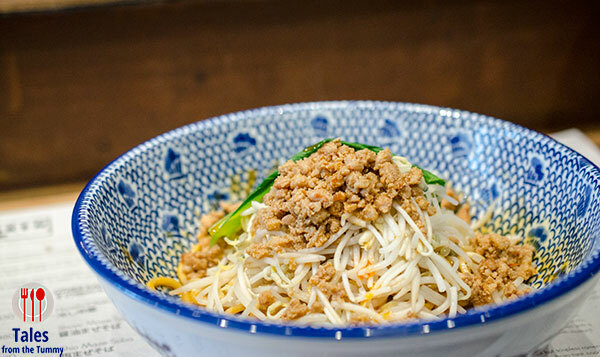 The 2nd off menu item is a dry noodle version of tantanmen and comes topped with, beansprouts, minced meat, freshly crushed peanuts and a slice of lemon. The flavors were really good with this one but I found it too spicy for my taste buds and it would be a challenge for me to finish it all. Super Chashu Ramen. I’ve heard about this off menu item from Salcedo but have never tried it so I suggested Irene try it this time. 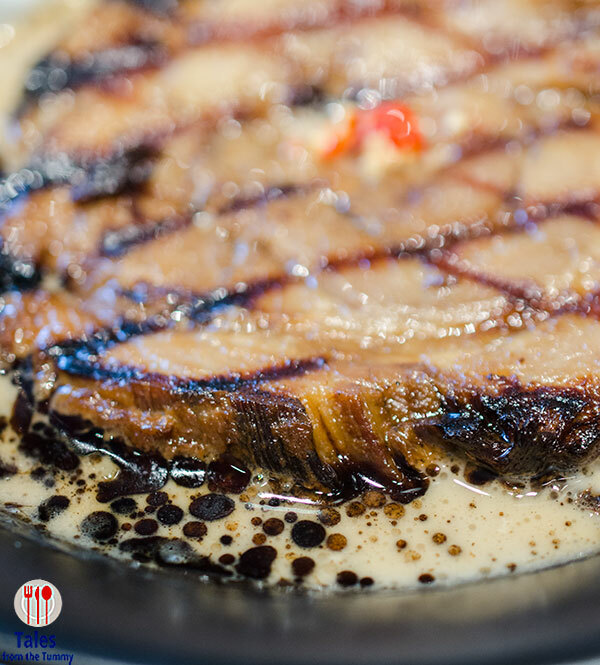 The bowl has a gigantic piece of chashu that has been marinated for 24 hours to give it a more intense flavor compared to the strips they use for other bowls. There’s also added chili to balance out the extra richness of the chashu. I had a little taste of the chashu and I thoroughly enjoyed it and this has supplanted the usual shoyu ramen order for both me and Irene. We’ll visit soon and have Lauren try it also. 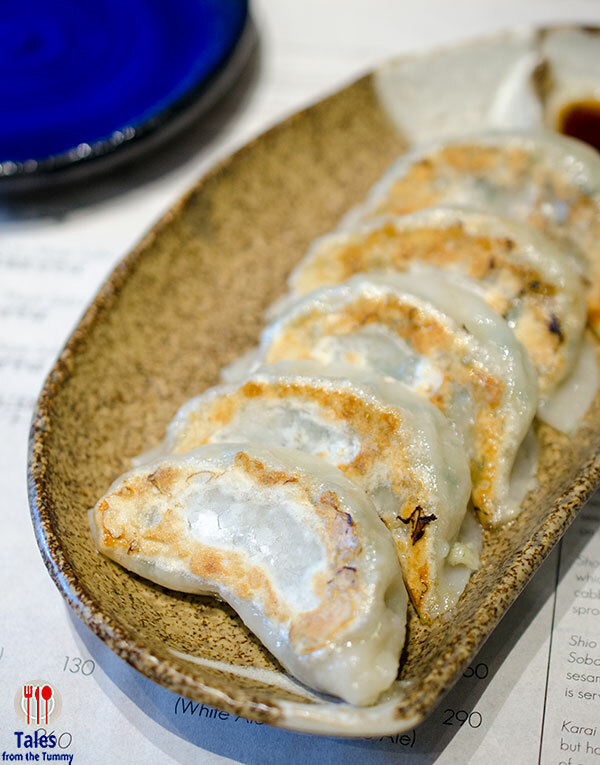 Be sure to get an order or two of their excellent Gyoza, available in 3 or 5 pcs.